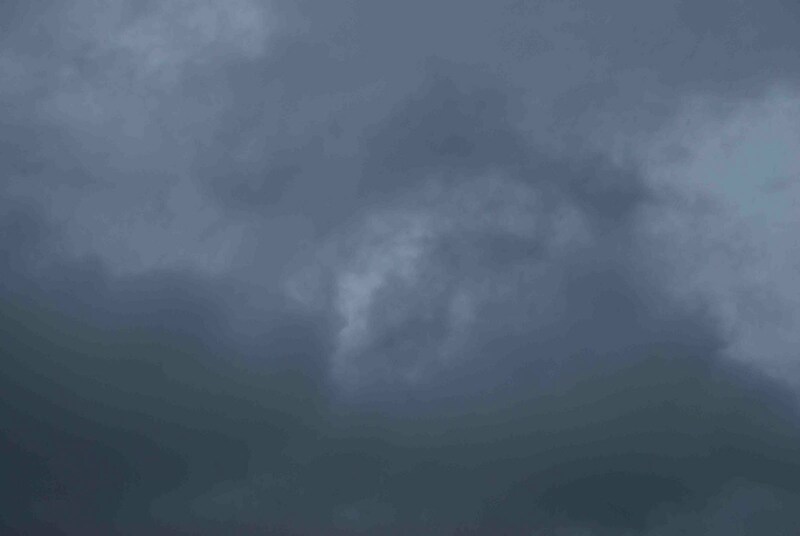 This is the sky as I came into the Aquarium's Animal Care Center (ACC) this morning. Just after this photo, the clouds dumped their entire holdings on me! 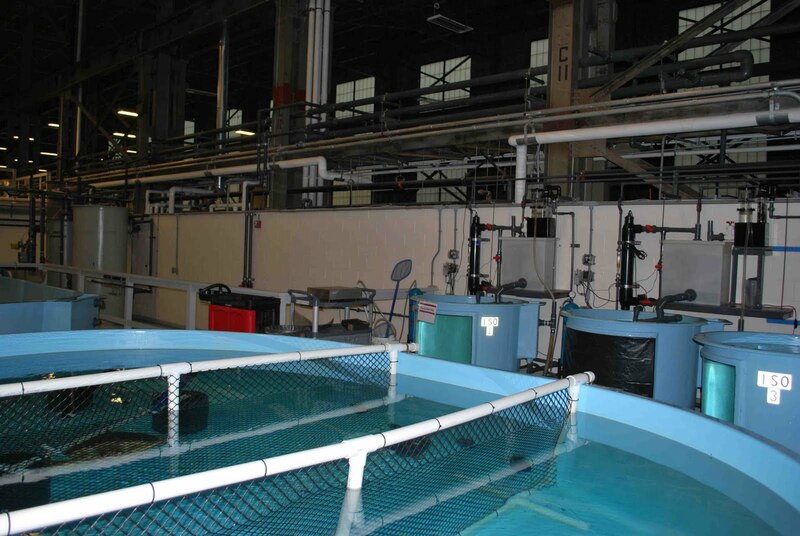 The Aquarium has an extensive storm protocol to maintain the highest level of care for all the animals in our collection and in the Rescue Department. 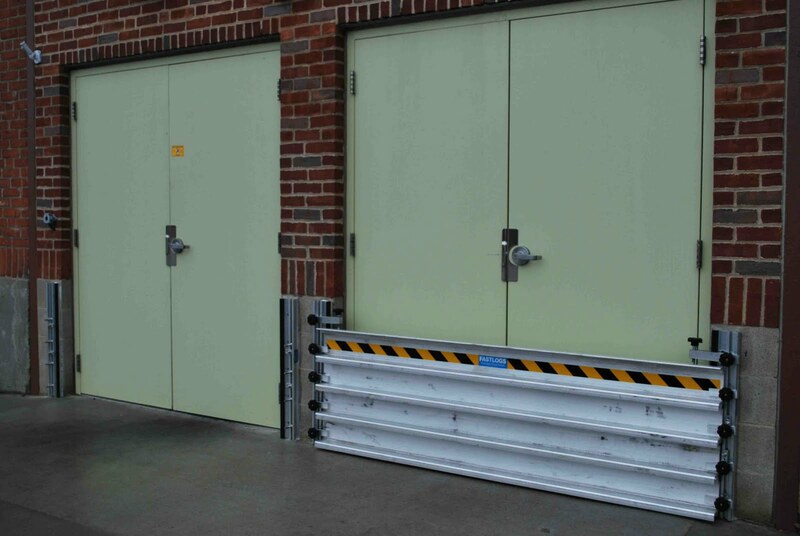 Below you can see two of my favorite components of our emergency preparations. 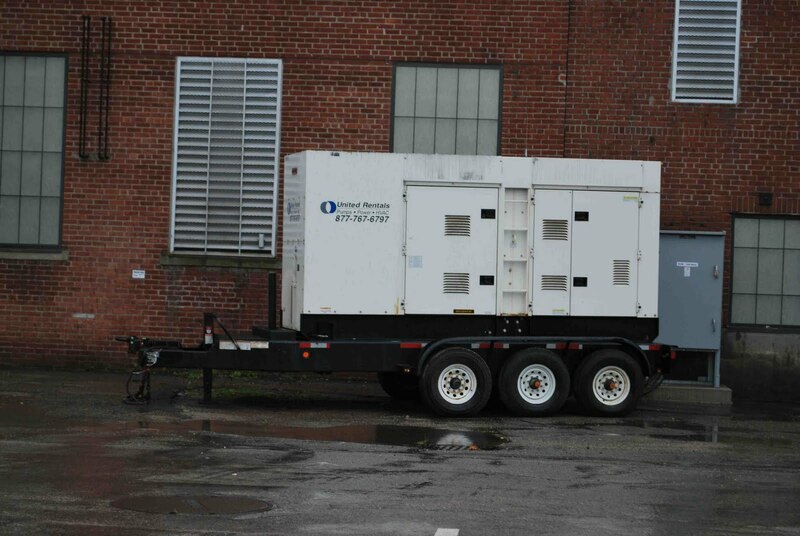 A powerful generator stands plugged in and ready to power all our life support systems in our ACC. 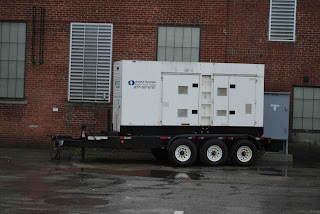 So far we have not lost power at the ACC, we will switch to power from this generator if we do. 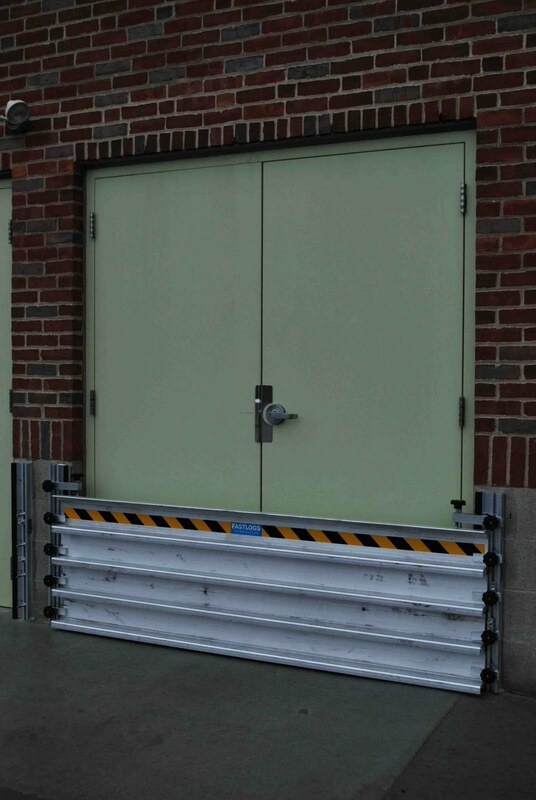 The photo below shows a flood gate in place in front of the doors into our necropsy laboratory. 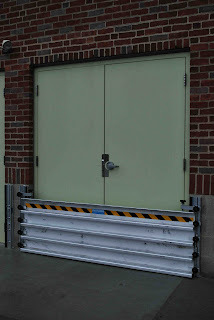 Doesn't look like the storm will put these flood gates to use...That's fine with me! 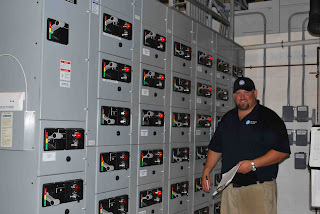 Below are photos of our storm team. 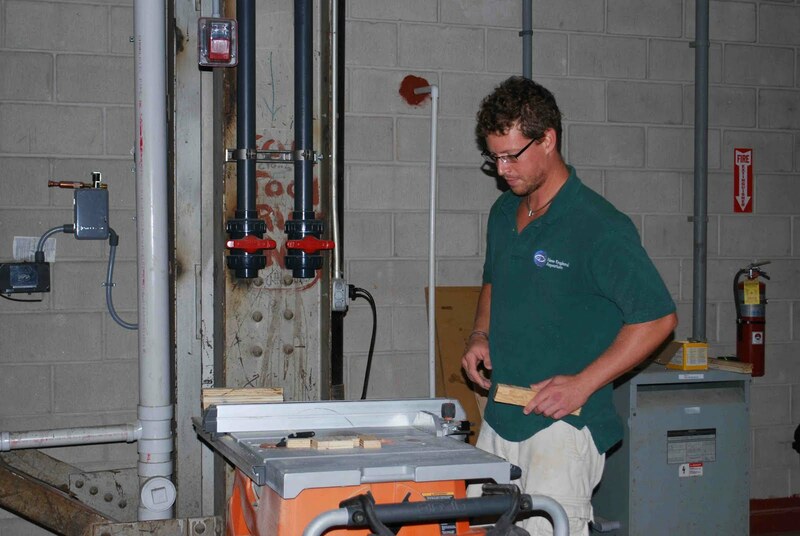 Each department has designated storm staff, these are the lucky folks for Hurricane Irene. 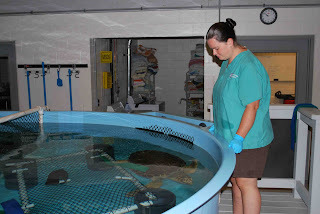 Katie Kodzis, from our Animal Health Department, prepares to help me administer medications to the loggerhead. 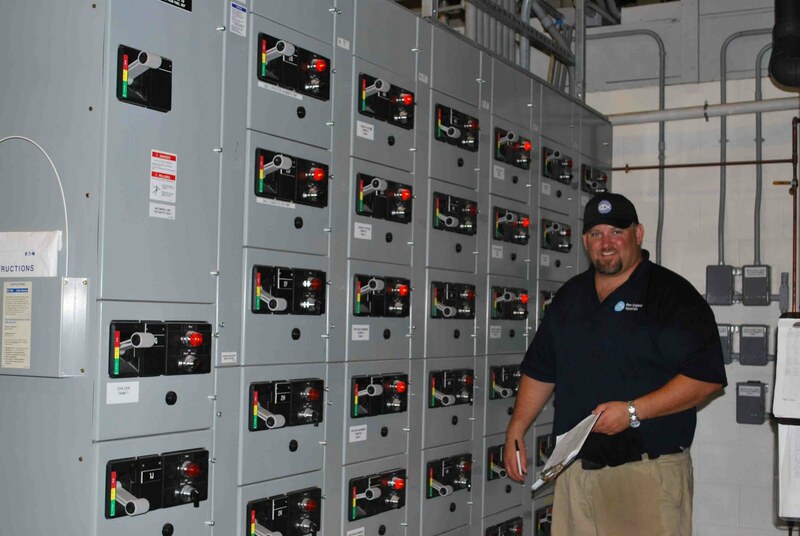 Matt Cotter, from our Facilities Department, makes rounds of our life support systems. Matt is responsible for operating all our life support systems at the ACC. 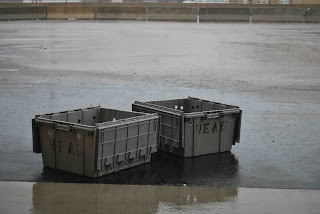 A few last photos of my hurricane day in the ACC here in Quincy, MA. The photo in the left shows some turtle boxes getting a "natural rinse" with Irene's rain water...now that's recycling! Photo on the right shows how nice and quiet it is in the ACC despite the weather outside. 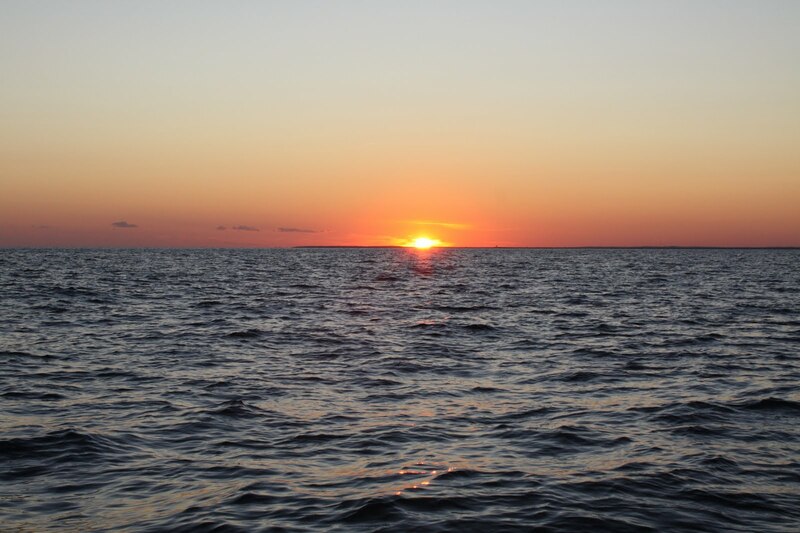 Last week we released 10 sea turtles into Nantucket Sound. 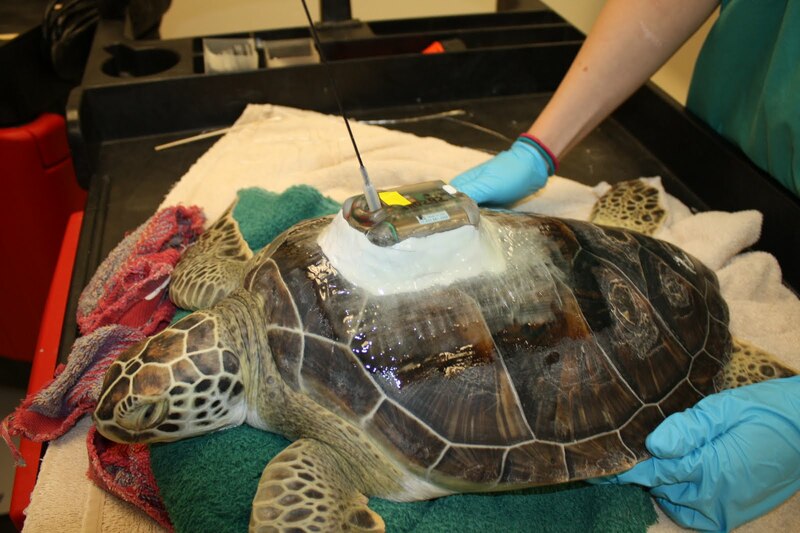 We attached satellite tags to two of the green sea turtles, 'Ophelia' and 'Cassiopeia', so that we would be able to track their progress. I thought you might like a little more information about the turtles you are following and hear their story. You can also adopt these turtles on the same website you can track them. See the links below their maps to take a look! 'Ophelia' stranded on November 13th, 2010 in Sandwich, MA. 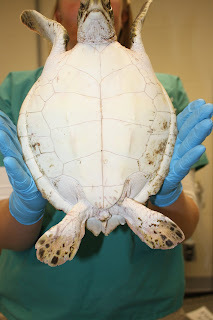 She weighed 3.6 pounds when she first arrived and had a carapace length of 24.1cm. At release, she weighed almost 14 pounds and measured 37.4cm. No wonder she was on a diet! We actually had to limit her food intake so she didn't gain weight too fast. She ate a diet of herring, squid, and of course lettuce. 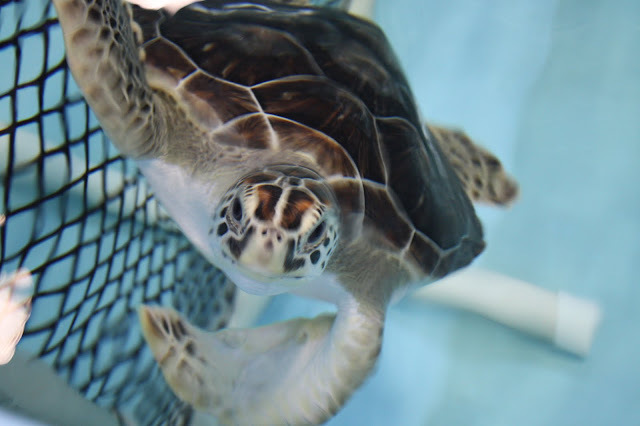 Green sea turtles eat vegetation in the wild so we supplement their diet with lettuce. 'Ophelia' took a while to finally like her veggies, but she came around eventually. Above Left: 'Ophelia' on 11/13/10 during the admit exam at the Animal Care Center. Right: 'Ophelia' during her exit exam. BIG difference! 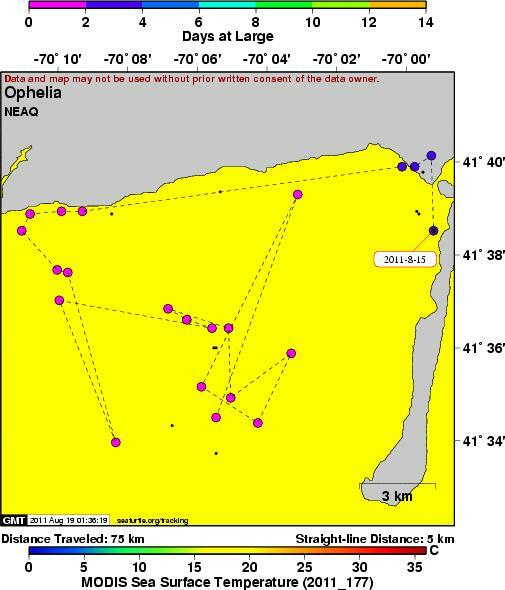 The above map shows where 'Ophelia' has traveled since her release. She still seems to be in the area around Monomoy. You can follow her progress as well as adopt her here. 'Cassiopeia' stranded on November 16, 2010 in Sagamore, MA. She weighed 4 pounds when she arrived in Quincy and had a carapace length of 24.7cm. At release, she weighed 14.6 pounds and was 37.8cm long. 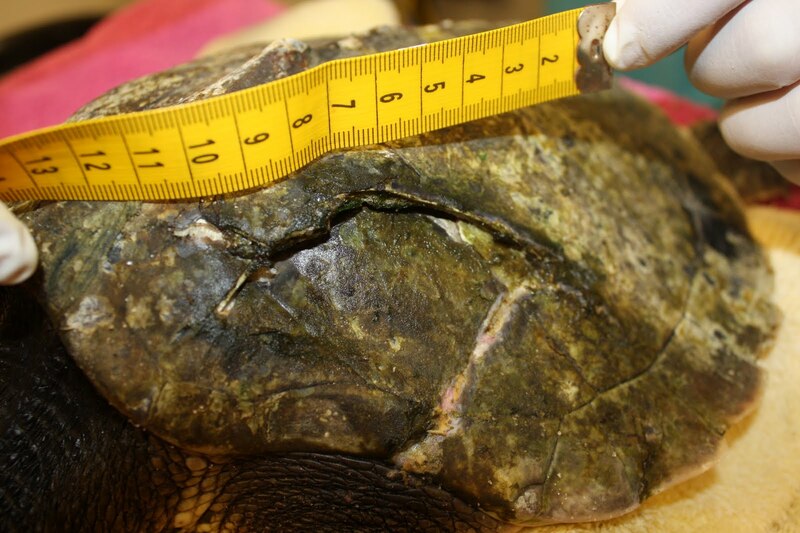 As you can imagine, this turtle was on a diet too! 'Cassiopeia' was probably the most photogenic turtle we had this season. She was in a tank with a window, and she would always come right up to the glass for some camera time... or maybe she was hoping for some food. 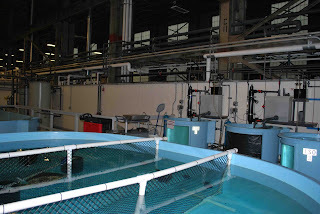 Above left: 'Cassiopeia' during her intake exam in November. 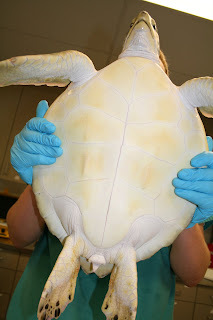 Right: 'Cassiopeia' during her exit exam before release. She was a good looking turtle and she knew it! The above map show's the track of 'Cassiopeia'. She seems to be heading the exact direction we were hoping for and will likely bypass the opening to Long Island Sound. 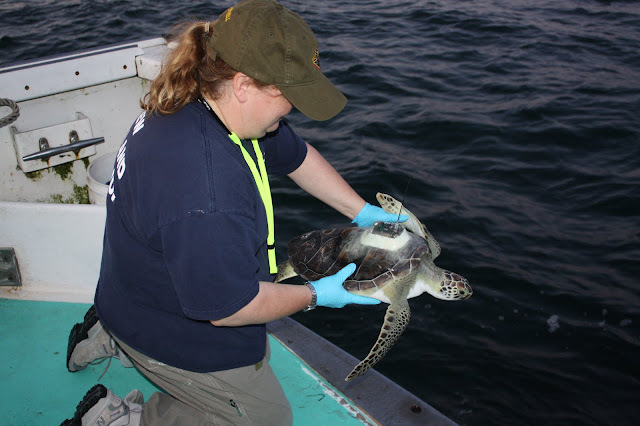 You can read more about why we did a boat release in my last post. If you would like to follow 'Cassiopeia' and possibly adopt her, you can do that here. 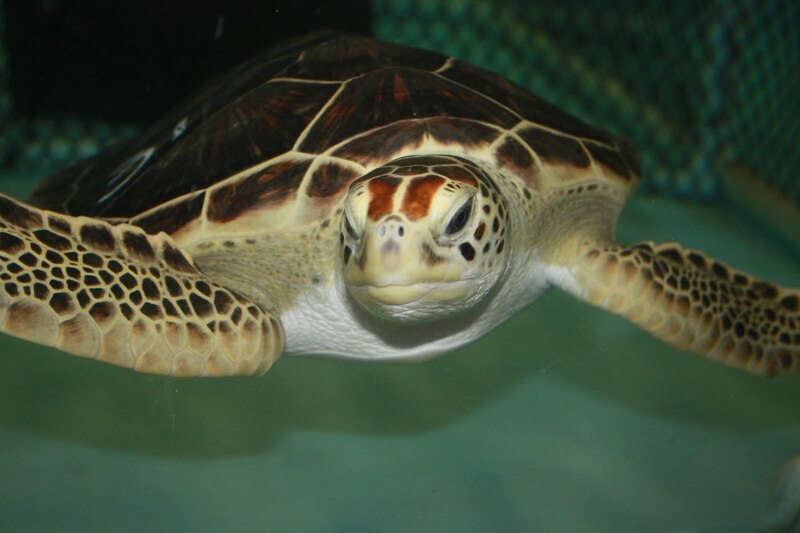 I hope you enjoy following these turtles on seaturtle.org. We are also hoping to create and post some more detailed maps for you to look at, so check back for that! It was a perfect evening for a turtle release. 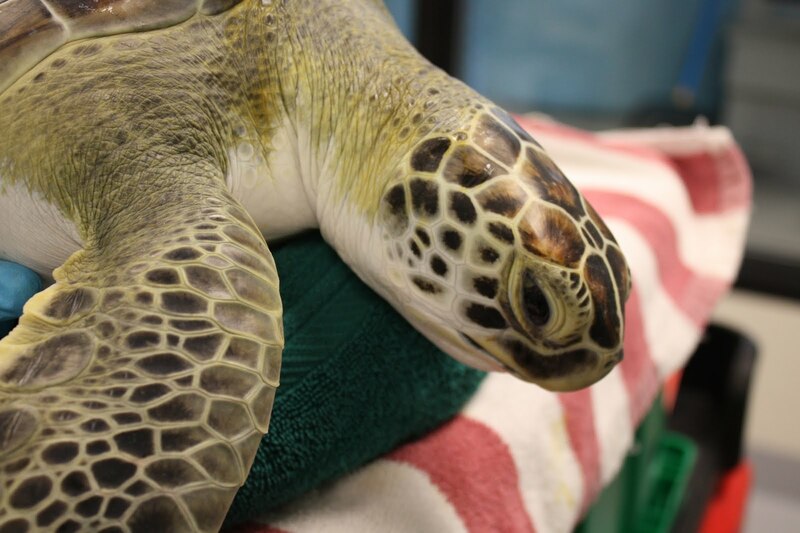 Ten sea turtles, 5 green sea turtles and 5 Kemp's ridleys, returned to the ocean after 9 months of rehabilition at our Animal Care Center in Quincy. 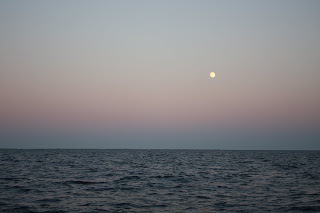 The turtles, all named after astronomical terms, were placed in the water from a boat and swam off. 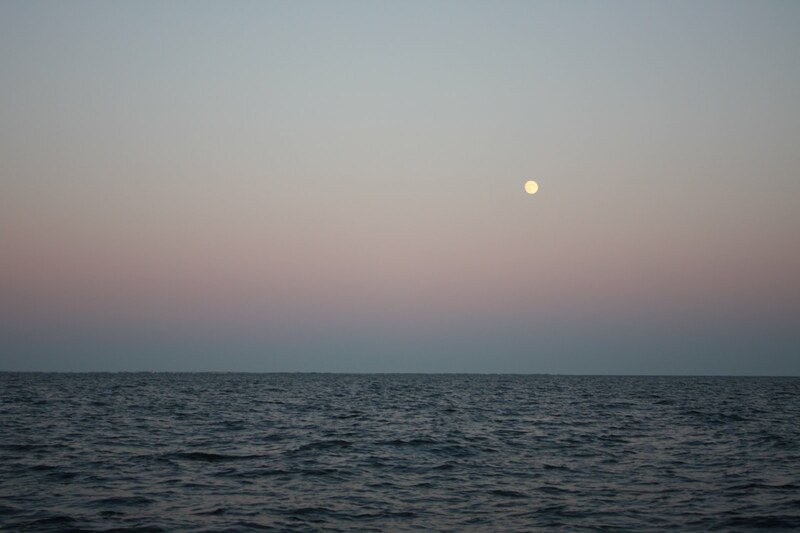 With the full moon to the east and a beautiful sunset to the west, it was the perfect setting for these animals to return to their home. Mark Leach, a lobsterman from Harwichport, donated his time and boat to us for the event. Mark has assisted the Aquarium with our leatherback sea turtle research over the past several years and was kind enough to lend a helping hand with this boat release. 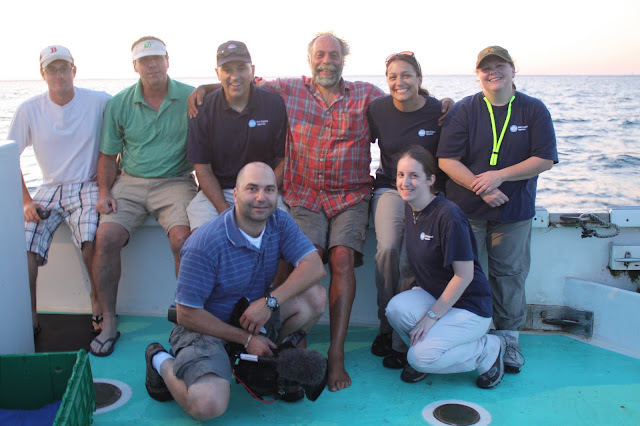 The above photo is Mark being interviewed about his support for the Aquarium while we headed out to the release site. Mark's son, Sean Leach, also lent a helping hand last night. Sean guided the boat to the release site and helped us release the turtles. 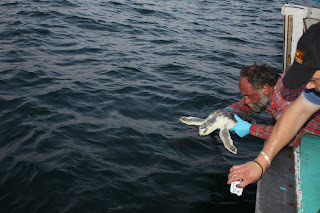 Above, Sean holds 'Luna', #16, before release. You may be wondering why we released from a boat this year, instead of off the beach like we normally do. The main reason is for concern about where the turtles end up. 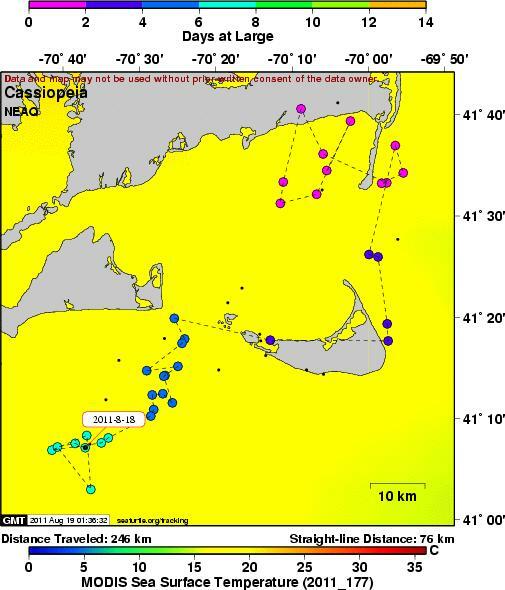 The past several years, the turtles we have satellite tagged have hugged the coast heading south and end up in Long Island Sound. 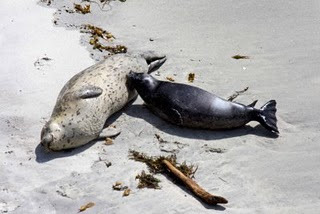 The animals tend to stay in the sound longer than we would like, making us nervous they will not enter the Atlantic until the water is too cold and lead to another cold stunning event. 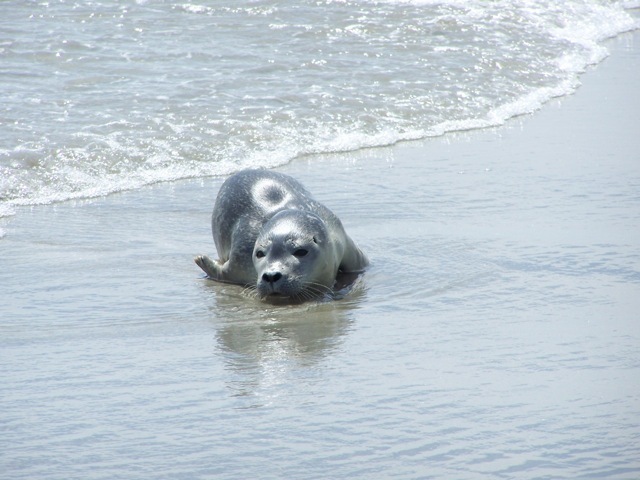 We are hoping that taking them off shore for release will help them to bypass the opening to Long Island Sound as they head south. 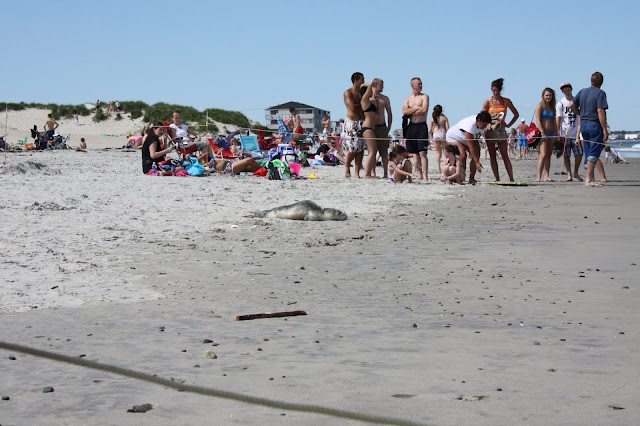 It is amazing to see the difference between when a turtle arrives and when it is released. 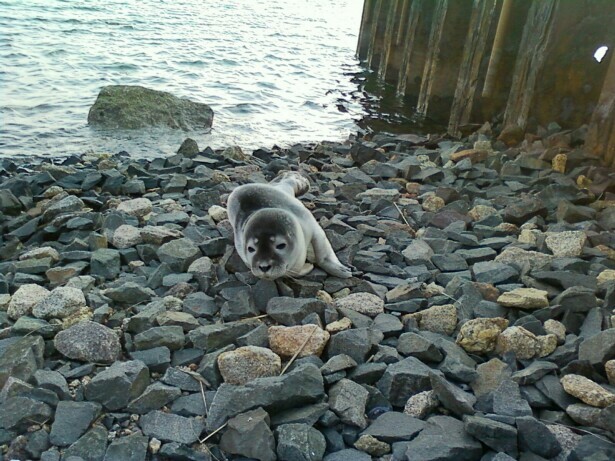 The above left photo is 'Libra' (#12), who stranded in early November with a large injury on his right flipper. 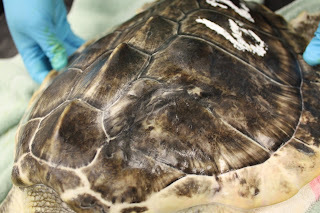 After multiple debridements and antibiotics to cure the infection, 'Libra' was finally cleared for release. The picture on the right is Katie getting ready to release the turtle. No problems with the flipper now, as you can see he is moving it so fast that it is a blur in the photo. Above left: Dennis Murley, a staff member from Wellfleet Bay Wildlife Sanctuary, holds 'Ganymede' (#100) who had significant carapace injuries. Katie and I also prepare for release, Katie with 'Libra' and I am holding 'Europa' (#96), a green sea turtle. We also released Centaurus (#62), who you may remember from this post here. Centaurus had a large fracture in his carapace (which is why he was named after a black hole) that required surgery. The above photo on the left is 'Centaurus' when he first arrived at the Animal Care Center. The photo on the right is after surgery to debride the wound and allow it to heal properly. After many months of wound care and some special attention, look at Centaurus now! 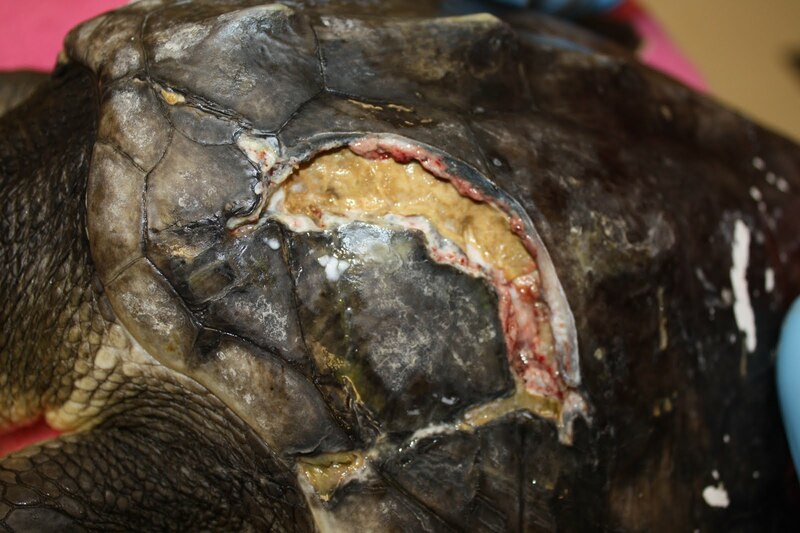 The fracture completely healed over and the turtle was ready to be released. Above left is the healed fracture. The above right photo shows Dennis releasing Centaurus back into the ocean. Another special case we had was Saturn (#108). This turtle had severe pneumonia that required him to receive multiple CT scans and even a lung biopsy. Can you find the hole in his carapace where we had to drill to get access for the lung biopsy? It's hard to see now because it is healed, but it is the small white hole on the third left lateral scute in the above left photo. The photo on the right is Tony LaCasse, the Aquariums Media Relations Director, getting ready to release Saturn. Above, Tony places 'Saturn' in the water and he swims away as fast as possible into the sunset! Earlier in the day, we satellite tagged two of our green sea turtles. This will allow us to be able to track them and see where they go just like we did with Goose from the 2009 release (who is still transmitting by the way!). Above, Ophelia (#24) on the left and Cassiopeia (#31), in the red box on the right, were fitted with satellite tags. We will be able to track them on seaturtle.org. We will keep you updated on their progress. Above, Connie releases Ophelia. 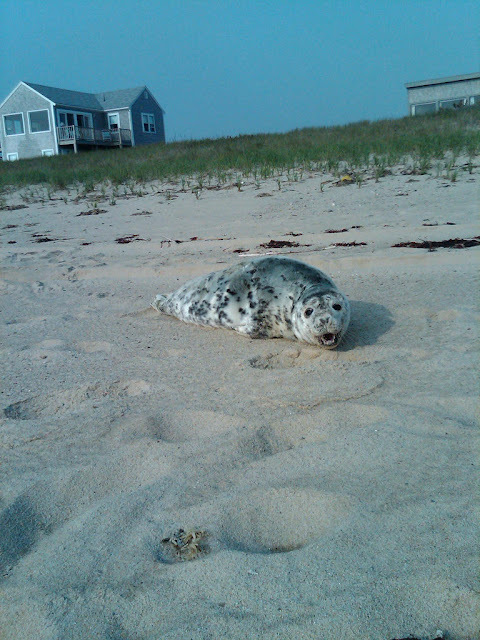 You can adopt Ophelia here to help support the satellite tracking program! Above, I release Cassiopeia. You can adopt Cassiopeia here to help support the satellite tracking program! The release team! From left to right top row: Sean Leach, Mark Leach, Tony LaCasse, Dennis Murley, Katie Pugliares, and Connie Merigo. As you can see, we all had smiles glued to our faces. 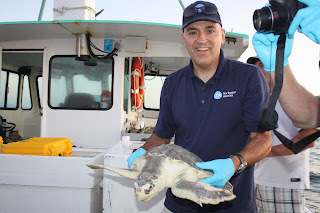 It was a very exciting evening to see these turtles be released after a long recovery. 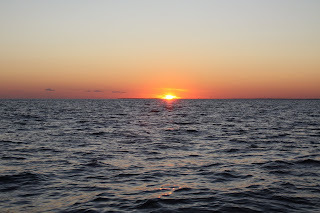 We hope releasing from the boat will allow the turtles to head south (or east to the Gulf Stream) safely. Keep an eye on seaturtle.org to see where they go. Today (not posted on the website yet), the tags showed one turtle went around Monomy and is to the east, and the other is slightly southwest of Monomoy. 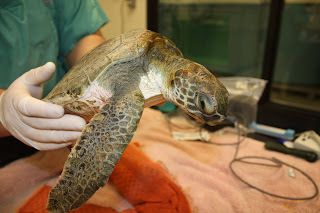 Check back for updates on these 2 green sea turtles and remember you can adopt them on seaturtle.org. Thank you to the whole release team, especially Mark and Sean!